Techniques for drawing and editing buildings are similar to those for drawing and editing all simple polygonal items on YME. You can use individual 3-D models for some buildings that have a complex configuration. The requirements for such models are provided below in section3.4.1.9. 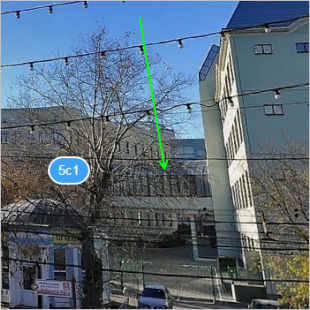 Requirements for the three-dimensional models of buildings. 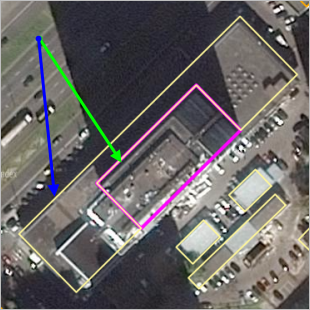 When drawing buildings comprised of diverse (either in height or addresses) but adjacent structures, make sure to enable Snapping mode to draw polygons that are separate but adjacent. This mode allows the points of a polygon to snap to another polygon. Just click (Snapping mode). 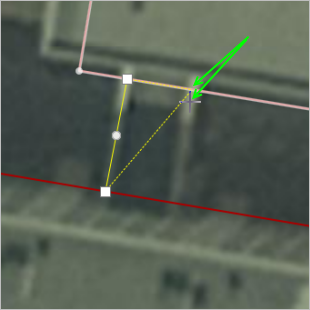 Use the “Angle adjustment” or “Adjust angle” tools when drawing rectangular footprints (see section 2.7.3.1). Drawing simple polygon items). 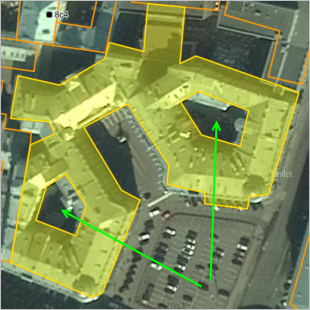 It's more reasonable to draw a polygon following the roof, and then drag the polygon to match the footprint. For directions about how to drag a polygon, see 2.7.3.2. Editing simple polygon items. 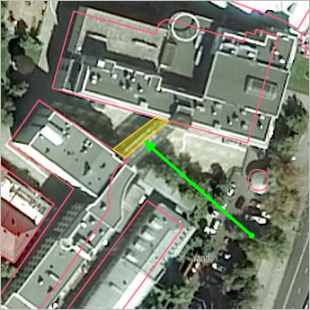 If you're drawing private area housing or a one-story block of flats, you can copy-and-paste a polygon from a similar building instead of drawing it from scratch. 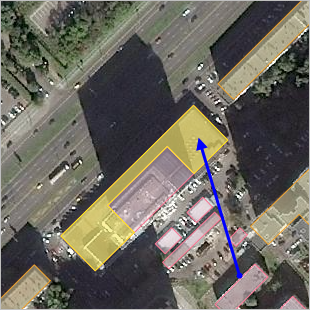 However, the building you copy shouldn't differ from the target building in length and height by more than twice. 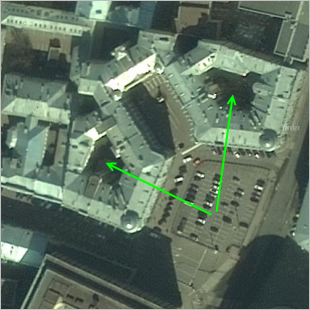 The geometric centers of the building in the picture and the building being drawn should approximately match. Building rendered exactly on a picture, you should not replace the copied building with inaccurate geometry. This is considered an error. 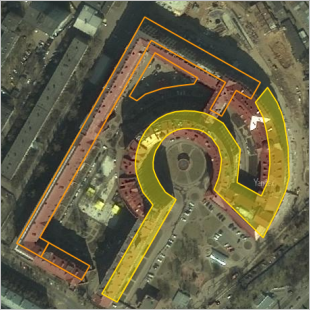 You do not need to draw any protrusions and impressions in polygons of multi-story buildings if those curves are less than 5 meters long. However, simplifying already existing ones is considered an error. If you should draw protrusions or impressions in polygons at all, either draw all of them or don't at all. You cannot pick and choose whichever ones you want to draw. Don't draw awnings or canopies (i.e. non-insulated constructions that function as overhead coverings supported by posts attached to one or more walls). You should also not draw canopies at gas stations (other than automatic filling stations that consist solely of pumps and a canopy, which you should draw). 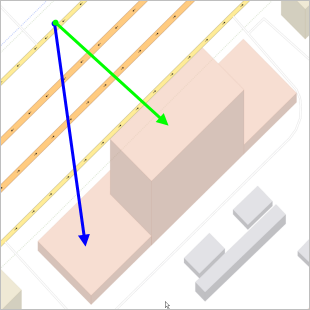 The exception to this rule is if you need to draw the awning in order for the three-dimensional model to display correctly. 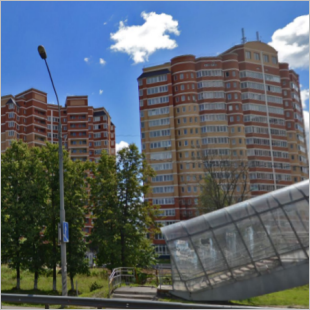 Buildings that are made up of several structures or have multiple addresses can be divided into separate polygons. 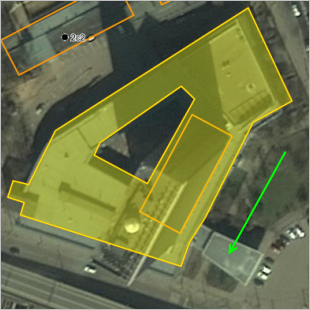 If parts of one building differ in height (number of floors), each part should use its own polygon. If a building is on top of a podium, enter the total of the podium and building height as the building height. 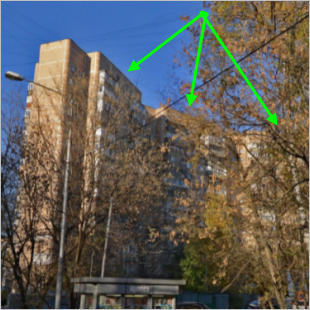 For the building in the photo below, the height of the podium is 9 m and the part of the building on top of it is 16 stories high (with a height of 16×3=48 m in accordance with the 3.4.2.3. Rules, which states that each floor should be counted as three meters). 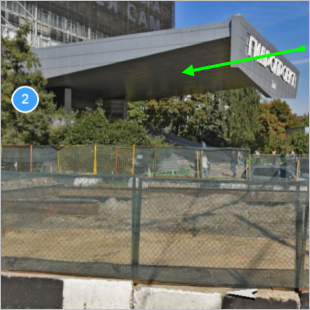 Meaning that the building's total height consists of the podium's height and the height of the main section on the podium: [16 x 3 + 9] = 57 meters. When drawing internal polygons, follow2.7.2. Rules for using internal polygons. 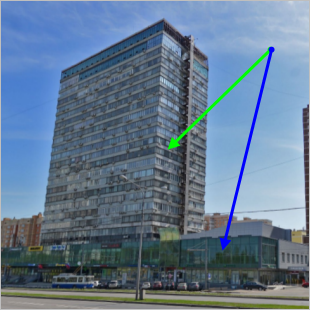 When drawing buildings, you should execute 2.7.1. General rules for drawing polygonal items. Don't draw underground buildings. 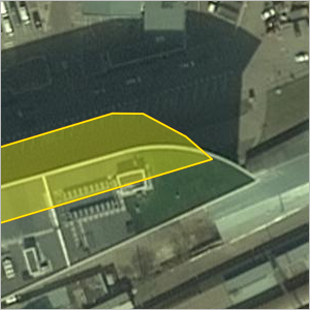 However, you can draw parts that are visible aboveground. 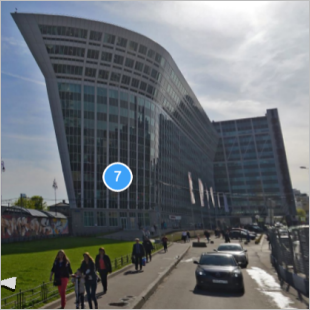 You can make a 3D model of a building and put in on Yandex.Maps. The rules and requirements for posting such models are listed below. 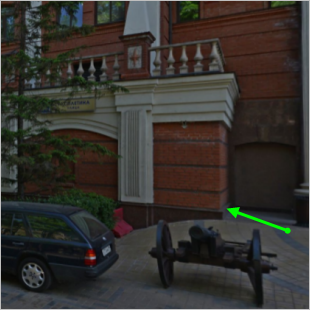 If you're not sure if your 3D model fulfills the requirements, send a photo of the original item and its location to ymaps-legal@yandex.ru. 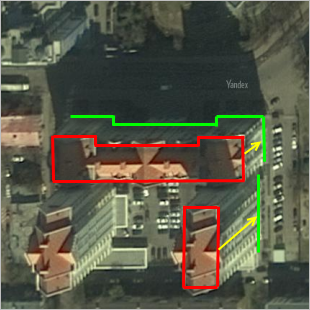 To have your 3D model posted on Yandex.Maps, send an email to ymaps-legal@yandex.ru with the 3D model attached. 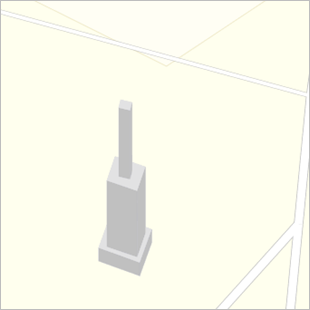 3D models are only employed for items which can be considered landmarks, and also cannot be properly conveyed by existing Yandex Map Editor tools. Such items include buildings, notable attractions, monuments, and parts of large historical and artistic sites. — Demolished and ruined buildings, as well as buildings under construction Special 3D models may still be employed for monuments and famous attractions even in their ruined state. — Buildings hidden behind high, solid fences or dense vegetation, which makes them unusable as landmarks. Use one model per building. 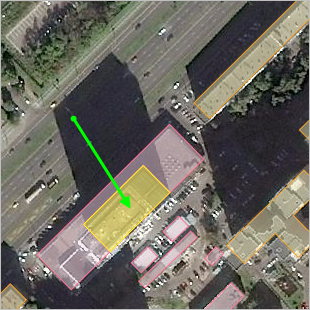 — Industrial lean-to buildings, railway platform passages, etc. Only include signage on models if they are an essential part of the item's construction. Use a font that is similar to the original lettering. 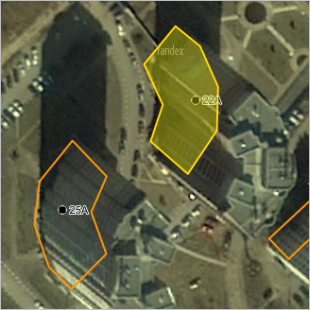 Your model must be saved as a KMZ archive, containing a KML geolocation file and the item model in the COLLADA format. The level of detail you include in the model should be adequate, but not excessive. 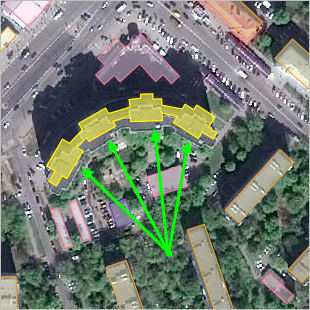 Your model shouldn't generally contain more than 5,000 faces for rectangular buildings with roofs, and more than 25,000 faces for complex structures (e.g. churches). Your model shouldn't use any gourand or phong shading, and must be designed with flat shading in mind. Ideally, your model shouldn't contain any small elements with edges less than 0.5 m in length (such models may not display the way they are supposed to on mobile devices). 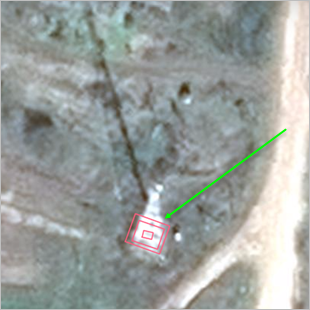 When using converters to transform your model to KMZ format, the model should maintain an acceptable level of technical quality. The model shouldn't contain any accidental changes brought on by the conversion process. A special offer regulates the legal aspects governing the use of 3-D models. 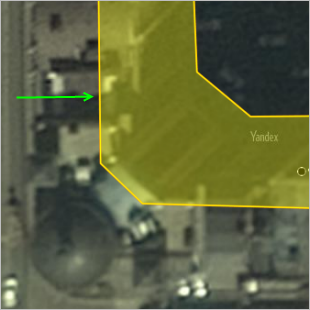 Since 3-D model parameters differ from map item parameters added directly on Yandex Map Editor, the use of these models is not stipulated in the Yandex Map Editor User Agreement.